If you’ve been sitting on the fence about selling your home, it might just be time to hop off. Now. To put it in other terms: 2017 is poised to be the year of the home seller, real estate experts say. So what are you waiting for? It’s all about rates, baby. Low mortgage rates translate to lower monthly costs. Lower costs entice buyers, which is good for sellers. Although mortgage rates have been ticking up since mid-October to slightly over 4%, the rates for a 30-year fixed mortgage—the most popular home loan—are still hovering near 30-year lows. For now. What does that have to do with home sellers? Well, potential buyers who are armed with that knowledge might hustle to close on a home before a rate hike. What if you’re nowhere near ready to put your house on the market? That’s OK. Even if rates nudge up by the end of 2017, they’re still expected to be low enough to seduce buyers. The tipping point is when rates reach 5%, experts say. That’s when they could put the brakes on the robust real estate market. “If they go above 5%, we’re going to see home prices come down,” says Trevor Levin, a real estate agent with Nourmand & Associates in Los Angeles. Remember in Econ 101, when you learned that low supply and high demand lead to rising prices? The same is true—in spades—for residential real estate. When inventory shrinks, available homes become more valuable. As Martha Stewart would say, that’s a good thing for sellers. Let’s put it in perspective: In 2007, just before the housing crash, existing home inventory peaked at 4.04 million homes for sale, according to NAR data. Fast-forward to November 2016: There were only 1.85 million homes for sale, 9.3% lower than the year before—and a whopping 54% lower than the 2007 peak. “Quite simply, sellers this year have the least competition,” Smoke says. And get this: Not only are there fewer homes for sale, but the time those homes have spent on the market has decreased year over year as well. If priced correctly, the typical home should move quickly, Smoke says. And that’s another boon for sellers. Lower inventory and greater demand have pushed up home prices. The median existing-home price in November 2016 was $234,900, up 6.8% from November 2015, when it was $220,000, according to the NAR. And that’s no fluke. That was the 57th consecutive month of year-over-year gains. Higher prices particularly benefit the seller whose property value plunged during the recession, sometimes to less than he owed. Thanks to rising prices, many homeowners whose property was underwater can now sell without suffering a big loss. 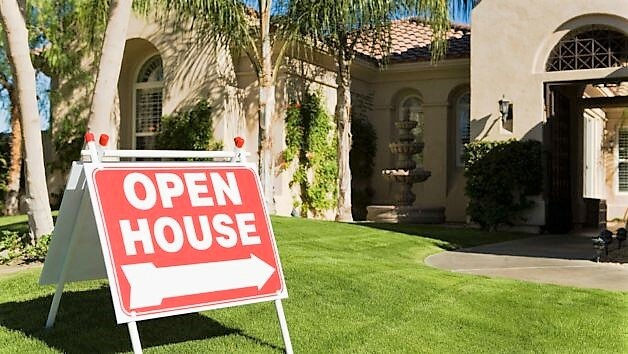 “2017 will be a rare ‘balanced market’ for buyers, because even though mortgage rates are edging up, many sellers have recovered enough equity to be able to afford to sell,” says Colby Sambrotto, president and CEO of USRealty.com. As unemployment decreases and wages (finally) increase, consumer confidence will climb. Increased confidence will spur buyers to jump into the market—which is, you guessed it—more good news for sellers. These pieces of the puzzle create a “virtuous cycle,” Smoke says. It’s not a term he coined, but it’s one he hasn’t had a chance to use in many years. If you sell your home today, you mostly likely will buy another. Then, all the economic factors that worked in your favor as a seller will work against you as a buyer. Sellers have a few options. You can rent for a while, and hope that prices come down in the future. But whatever you save on the price of a house you could surrender when mortgage rates climb to 6%—as predicted for 2019 and 2020, Smoke says. The take-home lesson: Don’t wait, because mortgage rates won’t. Lisa Kaplan Gordon is an award-winning freelancer who’s written about real estate and home improvement for realtor.com, Yahoo, AOL, and many others.